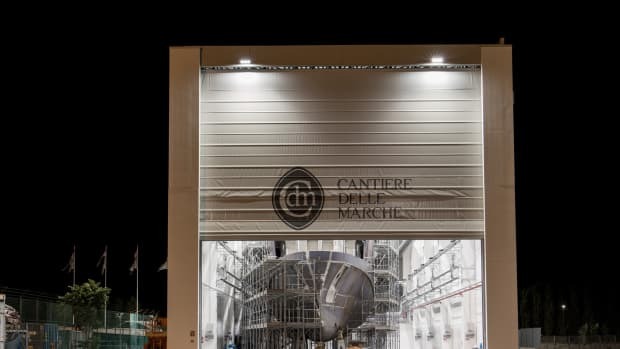 Cantiere delle Marche launched its third yacht of the year, Darwin Class M/Y ACALA, Explorer Yacht 102’ in steel and aluminum. 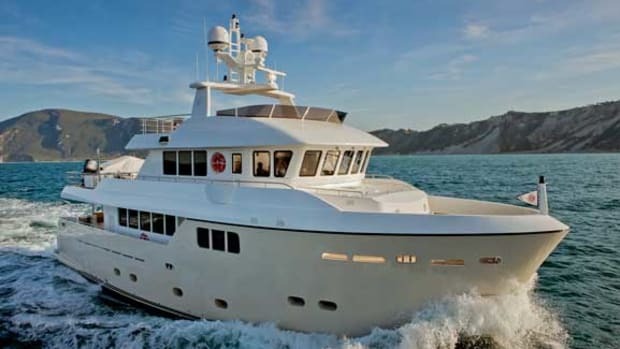 The Darwin 102 is set to make its U.S. debut at the Fort Lauderdale International Boat Show in November 2015. 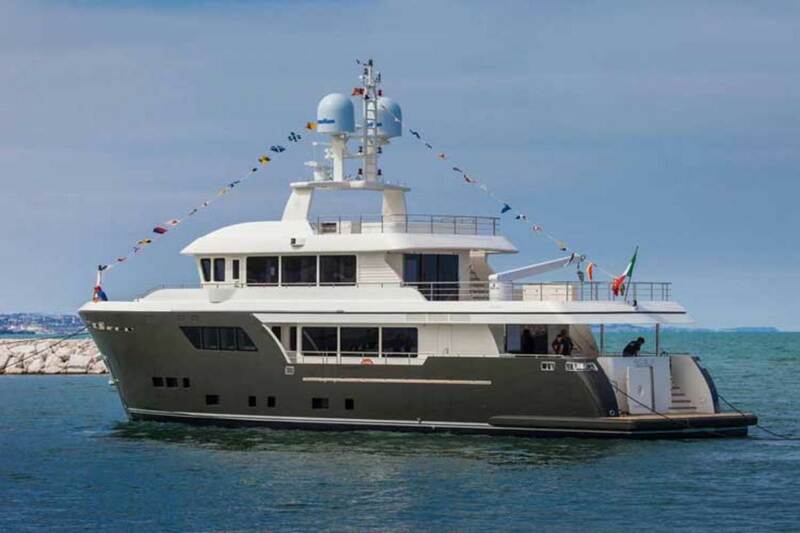 The M/Y ACALA was built for a Central American client. 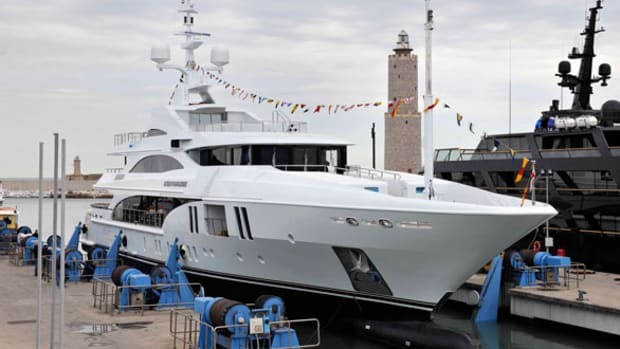 Cantiere delle Marche first met with the client at the 2013 Fort Lauderdale International Boat Show to discuss the original plans to custom build an Explorer Yacht for his family. 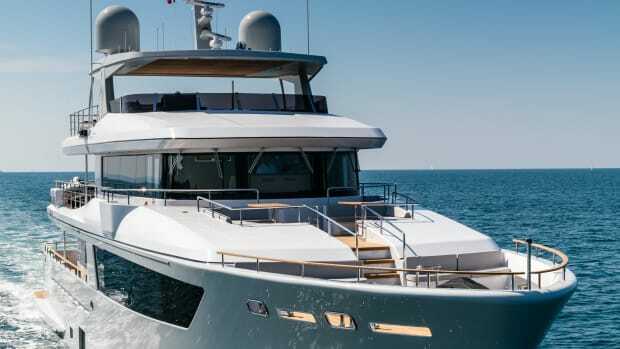 The collaboration between the staff of CdM and the owner’s team of consultants resulted in an Explorer Yacht that combines the soul of CdM and the personality of the owner with a perfect balance in every detail. 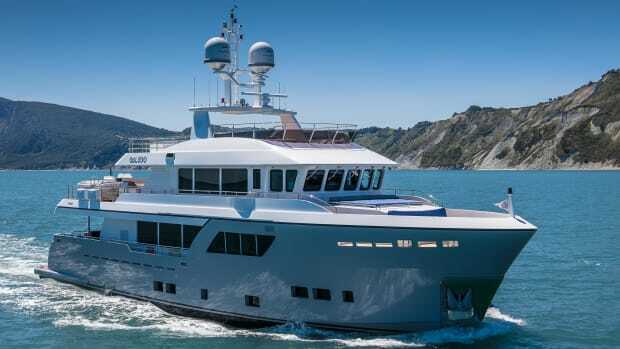 The steel hull full displacement yacht weighs 220 gross tons and has a 5,500 nautical mile range. She features many specific customizations including a custom dive station equipped with a nitrox compressor, storage for 18 dive tanks, wetsuit and BCD hanging lockers, garage for three Seabobs, and additional space for camera equipment and fins/masks. The 5-cabin layout sleeps 12 guests with the master cabin forward, and there is additional space for a crew of 7. The saloon doors open completely to create a large indoor/outdoor living space. Even the outdoor areas have air conditioning. 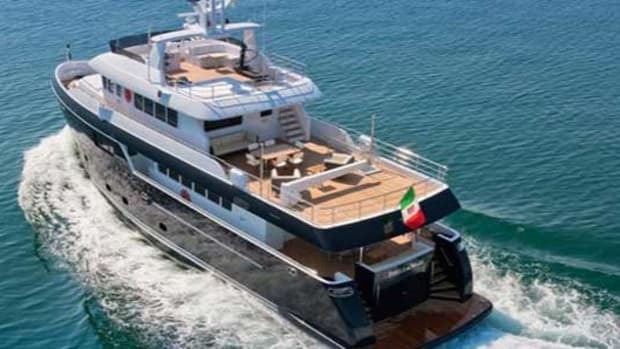 The yacht can accommodate two tenders due to the increased spaces in the swim platform. 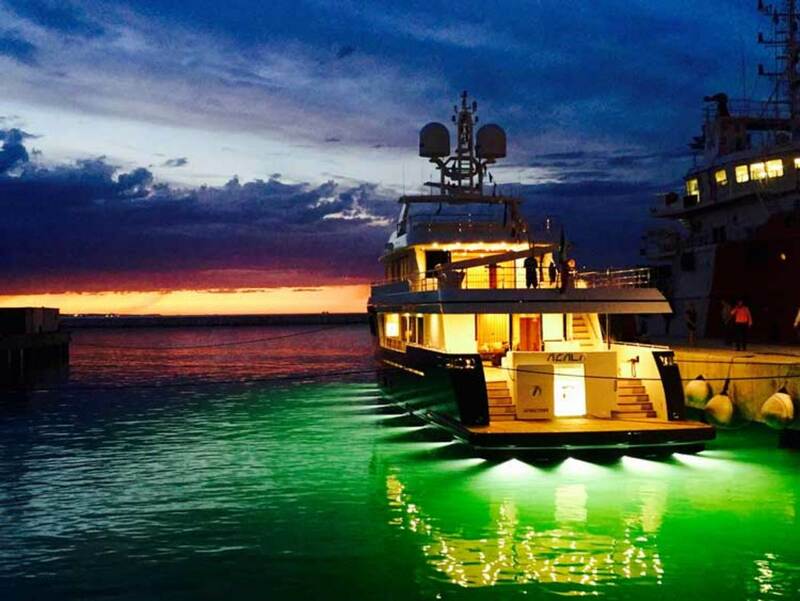 Renowned designer, Simon Hamui from Central America designed the yacht’s interiors. Hamui has worked with the owner on some of his properties and was able to add his own flair to the incredible spaces and heights. The Darwin 102 is a testament to the quality and craftsmanship of CdM. 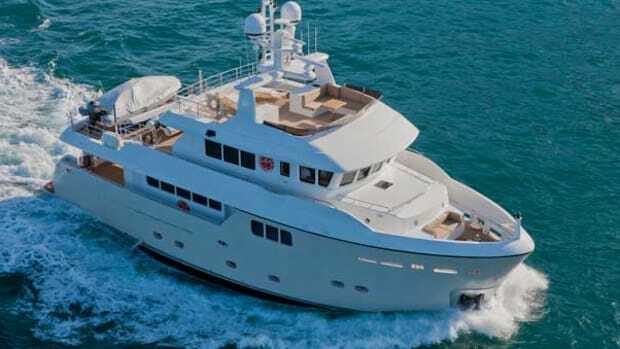 She will be on display at the Fort Lauderdale International Boat Show at Bahia Mar Face Dock Slip 614. 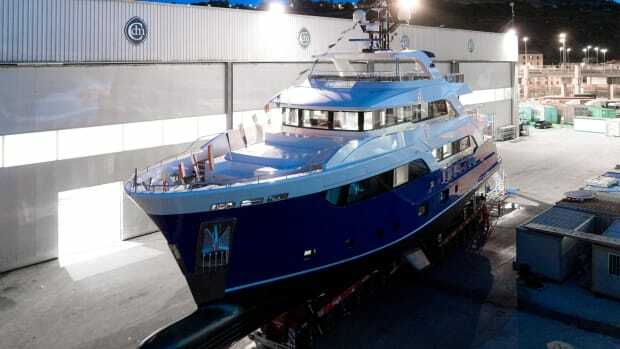 Hull #1 and #2 of the Darwin 102 have been sold. 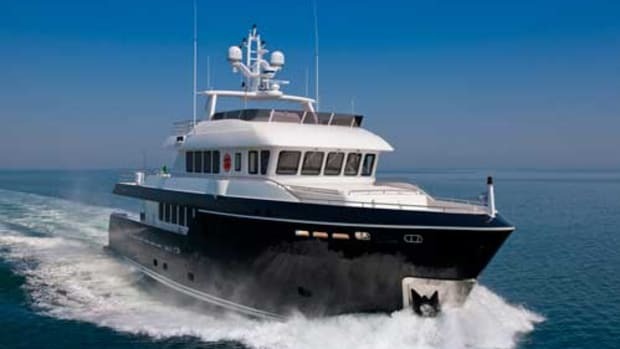 Hull #3 is available for immediate purchase asking €8,900,000 and can be delivered in 18 months. Additional information is available upon request including full build specifications, general arrangement layout options, and interior/exterior pictures.